Not exactly a yin yang, but close. And the idea is sound because it's hard to figure out where the chocolate ends and the peanut butter begins. Which is fine, because we all know that the chocolate peanut butter combo is superb (and if you didn't know that, now you do. It's truth.) Pretty easy to make from a packaged mix, too. Yup, one mix but two flavors. It's all about knowing how to divide and conquer, quite literally. Split the dough in half and flavor half with chocolate and the other with peanut butter and there you have it. These are a soft cookie with lots of flavor--so good I ended up making two batches in under a week. Relax, they were for sharing! 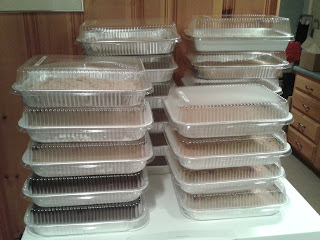 So what exactly does 21 pans of brownies and bar desserts look like? Yup. It's a lot. But Madaline and Ernie report that the nearly 250 people at their event enjoyed them all, thrilled that they could choose two, which helped narrow the options from the six different treats I made, which included Cakey Brownies, Peanut Butter Chocolate Chip Cookie Bars, Swirled Blondies, Oatmeal Cranberry Bars, traditional Rice Krispies Treats and these Sugar Cookie Bars, which were a huge hit with the kids thanks to the colorful sprinkles. And these bars are very tasty. Soft and sweet like a firm sugar cookie, these bars have a nice texture and really taste amazing. While typically I would have gone for the vanilla frosting smeared on top, knowing that these bars would be served on a hot August night in a camp setting, the frosting just didn't seem fitting. Instead, sanding sugar in a rainbow of colors worked to impart a little crunchy sweetness and a little fun. Super tasty and so easy, I look forward to making these bars again. As the zucchini harvest slows and these last few days of summer make you want to spend more time savoring the fun of summer rather than cooking up elaborate meals, this recipe will be a special treat before we switch into fall-mode with back to school, activities and cooler weather. There is a lot of flexibility in the flavor of these zucchini boats, depending on what kind of sausage you use. Of course, Italian sausage would be fine, but to lighten them up, use a chicken sausage which can come in a variety of flavors. The tomato, basil, and mozzarella chicken sausage from Casual Gourmet that I used was delicious and played well with the rest of the veggies and added cheese. As a full meal or just a side dish, these zucchini boats are delicious and easy. Last month a friend shared a link to this Skinny Taste recipe for another friend, Erica. After Erica comment how good these were, I jumped on board to try them myself. I used my own marinara sauce, but you could use jarred or your own version. And I had some huge zucchini (one green and one yellow), so I only needed two of them to get to 31 ounces, which was fine because that made four boats that I was serving as the main meal for dinner. (Yeah, Dave had pizza. Sigh.) Gina at Skinny Taste recommends cutting the sausage out of the casing, and then crumbling and cooking it. I couldn't separate the casing, so I just diced my sausage and it was fine. I also cooked the veggies with the sausage, rather than removing the sausage from the pan. These were pretty easy to put together and the stuffing cooked up quick, although the cheese in my sausage just melted and cooked out, so it created more of a sauce than another flavor of sausage might. But since the boats are topped with additional cheese anyway, it was no big deal. Leftovers were still delicious, so you can make this one night and enjoy another lingering summer evening dinner later. A great debate ensued after I made these cookies. As you know, Dave is my got-to Chief of Dessert Recognition, often decides that the names of various recipes don't quite match the finished product, such as when he renamed these and these. The actual name of these cookies are Homemade Oreos, but Dave thought they were too good to be called simply Oreos. He wanted a bigger, better, more fantastic name to really define the goodness of these cookies. And he threw out my idea of Faux-reos (which I thought was clever when I saw it on other blogs). Unfortunately he didn't decide on anything before I posted today. Even Ernie got into the discussion while he was beside himself enjoying what he called OMG-reos, stating he wasn't going to have anything to drink for an hour so he could savor the taste. Then Dave started pondering why anyone would buy a regular store-bought Oreo when you could make these (answer: to dip it in chocolate or make truffles). But honestly, these are delicious. Because they are thicker than the machine pressed wafers from the package, they are a little bit softer, but overall it's a crisp cookie on the outside with a perfect intensity of chocolate. And the cream filling! Oh my, I can't believe how spot on that taste and texture is. And all so simple. Start to finish was about an hour and for it to be so perfect a replication, there is no reason not to try your hand at these. Besides the blondies and brownies for Madaline & Ernie's Airstream rally, I wanted to include a bar that was more like a cookie. Plus, I didn't want everything to have chocolate (while this would be fine with me, I knew I was baking for a much larger audience and that some people don't like chocolate (and those are people I can't be friends with.) Oatmeal cookies immediately came to mind and I knew that with the dried cranberries, they'd be both sweet and nutty, and would definitely be perfect with a cup of coffee after dinner (or again, at breakfast. I don't judge, people!) These bars are definite winners and a the slightest of spice from cinnamon and nutmeg gives these bars the perfect oatmeal cookie flavor. The texture is a perfect cookie crumb, just on the soft side without completely falling to pieces when you bite it. I scoured the web for oatmeal bar recipes and was surprised that I struggled. Most recipes were for actual granola bars or were designed for 8 x 8 inch pans. Knowing I needed to make 9 x 13 inch pans to get enough yield for the number of people, I settled on a recipe that could be adapted. Sandyg61 posted this recipe on food.com and I adjusted the quantities to fit my pan, as well as subbing dried cranberries for the chocolate chips. The result was perfect and if Dave's devouring of the test batch is any indication, I'm certain I'll be asked to make these again and again. My favorite thing about trying a new recipe is getting asked to make it again before the meal is even halfway over. That happened with these sandwiches. I'm not even certain Dave swallowed the first bite before he asked me to make them again. Of course, he finished two of these sandwiches before I could blink (which is super rare because I eat much faster than him). The chicken just cooks in a sauce that starts with something store bought but doctored up with things from your pantry to give a fantastic flavor that's both sweet and smoky and clings to the shredded chicken. I see us having these sandwiches on game day or just for a busy weeknight. When I saw this recipe on Christina's blog, Sweet Pea's Kitchen, I tucked it away as something that sounded easy and delicious. Which it totally was. I'd forgotten to prep the crock pot before bed, but was easily able to pull this together in the morning before leaving for work. No need to get one random ingredient (although I did accidentally misread that I need mustard seeds and added those to the ingredient photo--what can I say, it was 6 am). Dave had to suffer through smelling this cook all day and gladly agreed to do the shredding of the chicken when it came time to eat. He tried one with a slice of provolone cheese, declaring it good, but not necessary. I love the kicked up sauce and served the sandwiches on lightly toasted buns. This recipe can be easily doubled if you have a big enough crock pot, and would certainly feed a crowd. Maybe try it with little slider buns for a tailgate? Yes, I think we'll be seeing this recipe in our rotation again and again. Oh, potatoes, how I love thee. Seriously, I'm Irish so I'm in love with potatoes just about anyway I can get them. Fried, baked, boiled, roasted and mashed. And mashed with loads of flavor. And a crunchy topping. Yes and please. These potatoes are a perfect side dish. A bit more complicated than regular mashed because of the step of baking them afterward, but absolutely worth it for that deep and delicious garlicky and slightly cheesy flavor. Every time I make these, it's a struggle to restrain myself from finishing half the dish. These potatoes are fancy enough for Sunday dinner or to serve for company, but simple enough that your whole family will love them. Searching for fun new side dishes, I stumbled upon this recipe from Betty Crocker last year and have made in many times. I cut the butter in half from the original, as well as the bread crumbs. I use less bread crumbs because I tend to make this in a square baking dish, so there's less surface area for the topping. If you make this in an oblong baking dish, you may want to up the bread crumbs to a full 1/2 cup. While you might be tempted to try this recipe by adding in shredded cheddar or more of some other cheese, trust me on this--an Irish girl who loves her potatoes loaded with cheese and other tastiness: the yumminess is in the simplicity. These were not the original blondies I planned to make for Madaline and Ernie's rally. But the test batch of the first version, while good, were very sweet and because the edges caramelized, they were a far more crunchy blondie which I wasn't too thrilled about. So when Madaline commented that she too thought they were overly sweet, I went back to the plans and swapped in this recipe which is truly a perfect blondie. It's chewy and has the sweet caramel tones, but plays nicely with a bit of chocolate syrup swirl. And let's talk about that swirl! So pretty, even though I had a bit of a dump on one end, the batter was fluid enough to really let me cut in and get the syrup distributed throughout the pan. Dave even called it professional. He always knows just the right things to say. Like the Cakey Brownies and Pretzel Brownies, these bars came from Food Network Magazine's 50 Brownies booklet from the March 2012 issue. Even though it was only a slight variation to go from the crunchy, super sweet blondies to this chewy version, the end result couldn't be more different. Plus the recipe has so much going for it: one bowl, a whisk, a spatula, and, of course my very favorite part: booze! Yup, just a touch of bourbon kicks up the flavor intensity without tasting like a drunken dessert. The bourbon is optional, so no worries if you want to leave it out. Although, I do encourage you to live it up a bit and leave it it. After zucchini and tomatoes, I think corn is that other summer vegetable that everyone looks forward to enjoying. And even though this summer's heat and minimal rain across much of the country has made corn on the cob eating less stellar than years past, the corn is still mighty tasty if you know what to do with it. Like adding bacon. Because as we know, everything is better with bacon. And this corn is no different. Sweet corn cut off the cob and cooked in a savory sauce with bacon stirred through and baked to a creamy goodness. It's not quite creamed corn, more like a simply creamy corn (yes, there's a difference, I just can't explain it). Yes, delicious isn't quite a good enough word. But corn masterpiece seems so pretentious. It's Secret Recipe Club time! By now, you probably know what that means. 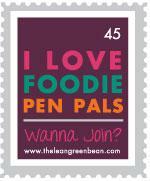 Each Monday a group of bloggers post a recipe they've made from another blogger's repertoire. Nobody knows who's featuring their blog until that day and it's a fun chance to visit new blogs and try something different. 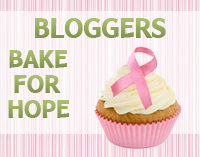 Visit some of the other bloggers in my group by checking out the blog hop at the bottom of this post. To learn more about Secret Recipe Club, click here. Oh, zucchini. My plant has just about taken over the deck and I've got so many yummy squash growing I could probably fill two weeks worth of recipes using it all. But I won't. I'll just make extras of stuff and share. Like this yummy bread laced with zucchini, cranberries and shredded coconut. Delicious. This was my attempt to get Dave to eat zucchini. He actually did like it, but I have a feeling it was the cranberries and coconut that won him over, since the zucchini plays a minimal flavor role, coming in mostly useful to keep the bread moist. But that subtley (spell check is telling my that's not a word--subtleness? No. Whatever.) is exactly what makes zucchini bread so good. It's a sweet bread, moist, but can be paired with loads of jam or eaten plain and still be delicious. I particularly like this bread plain, but a light toasting is also tasty. Most months, Food Network Magazine features a mix & match recipe, perhaps for pulling together a pasta salad or stuffing, but in May 2011, they did a mix & match for quick breads, starting with a shredded fruit or veggie, adding mix-ins like nuts, dried fruits or flavored candy chips, then the basic batter ingredients, all topped off with an icing or glaze. While I left off the topping, this bread would be delicious with a light vanilla icing. Using the mix & match recipe as a guide, I came up with this delicious recipe, making a few tweaks such as replacing some of the oil with applesauce. Bake this up in a standard or pan or easily adapt it to 3 mini loaves and bake for 40-45 minutes. Then you can share more zucchini goodness with more people. These might be a perfect way to help you get your little ones (or big one, in my case) to eat zucchini. All shredded up, seasoned, mixed with cheese and baked in a mini muffin cup! Dave was quite skeptical at first, but he surprised me by eating a few of them. Maybe I've finally found a way for him to like zucchini? They probably could be a little crisper, but overall they are a tasty savory bite that has the slightest sweetness from the zucchini itself. Perfect finger food for little hands or a unique potential appetizer, you may find yourself making these a few times with your zucchini abundance. This recipe comes from Skinny Taste and I actually doubled it to have enough for everyone. And it was a good thing because between the four of us, we nearly ate them all. It's an easy recipe and adaptable if you'd like to alter the flavor by adding in different herbs or even a little spicy kick. I definitely think I'd bake them a little longer next time to get a more crispy edge, but regardless, they are tasty and fun. Well, I actually didn't make these bars for the Airstream event, but since I've already posted the recipe for the Peanut Butter Chocolate Chip Cookie Bars that I did make for Madaline and Ernie's rally, I thought I'd substitute a yummy zucchini recipe as part of zucchini week and in keeping with the bar theme for Wednesdays this month. See how well that works out? And these bars are delicious. They are soft and full of flavor, sweet with a little crunch from the walnuts and the cream cheese frosting, with a light hint of lemon, is a perfect match. Almost like a carrot cake, these bars have a nice flavor, cakey texture, and are perfect for a snack, dessert or breakfast. In fact, I took half the pan to my aunt and uncle's house when we visited and we definitely had them with breakfast. These were a lovely sweet alternative to other breakfast pastries on a hot summer day. These bars were one of my first pins and I was so happy to have an overabundance of zucchini to have an excuse to make them. Laura over at Real Mom Kitchen posted this recipe and I really like how she included the carrot, but didn't make these into a carrot cake bar with zucchini thrown in. The walnuts are a nice touch, too. I was a little skeptical since a bit of ginger was the only seasoning, but it really worked with the creamy frosting, which piled super high on these bars. I adjusted the recipe to include more zucchini than carrots because I was running low on the orange veggies and high on the green ones (I just eked out a full cup of carrot). I also forgot to pick up a lemon to add zest to the frosting, so I used a bit of lemon juice instead, which I liked for a more prominent lemon flavor. These would be great for a morning meeting, church social, book club, or just for a new way to enjoy a zucchini enhanced dessert. If my zucchini plant continues on it's current path, I might be making these a few more times this summer. So I started a little container garden on our deck. My friend Beth shared with me her excess plants that didn't fit in her container garden. I planted two tomatoes, two zucchini and two cucumbers in the Earthbox Madaline and Ernie gave Dave and I at Easter and hoped for the best. Almost immediately both cucumbers and one of the zucchinis died. But then something awesome happened. My tomato plants grew and the remaining zucchini went berserk! It got so big it fell off the edge of the box and Dave and I staked it up, just like the tomato plants. And the zucchini just started growing and growing. So, by way of sharing my bounty with you, I'm treating you to a week's worth of zucchini recipes, because if you don't have your own exploding plant in your back yard, you've got friends who do and keep giving the extras to you or your enamored by the pretty green squash at the farmer's market but just don't know what to do with them. Five recipes, five delicious ways to enjoy this tasty veggie in both savory and sweet preparation, starting with this summery side dish loaded with Caprese salad flavors. I love the tender squash, seasoned just right, under the wonderful tomato, basil & mozzarella stuffing, warmed from the oven (or in my case, the toaster oven). A couple of these would make a great light supper eaten together, or split them up as a side to grilled chicken or beef. I pinned this recipe earlier this summer, knowing/hoping for a big zucchini harvest. Proud Italian Cook gave the overall concept of the recipe, but I jotted down my measurements and steps to share with you. I used Roma tomatoes rather than cherry and fresh mozzarella, but I didn't load on the cheese since I wanted something a bit lighter. You could certainly pile on the cheese and be very happy, though. Adjust the quantities for as many people as you need to serve, or make extra--they reheat wonderfully for the next day. These zucchini boats are light, fresh and lovely--and even better when you pluck some of the ingredients from your own back yard. It was bound to happen, huh? Eventually I would get on the salted caramel kick (just in time for some new trend to hit the foodie blog world). It's not that I resisted on purpose, I just haven't had salted caramel that made the craze make sense to me. Dave and I visited Portland earlier this summer and I had a cupcake supposedly topped with salted caramel buttercream frosting. I was less than impressed. It barely tasted like caramel, let alone a heavenly salted version. And I've just always had other things I wanted to try. Not that it doesn't sound like a good idea--gooey salty and sweet treats--and I've certainly pinned, marked, and otherwise saved my fair share of salted caramel concoctions. And now, I've got to make them because these treats are a perfect ambassador for the trend. First off, it's a Rice Krispies treat, which gets lots of love from me to begin with. And the caramel just makes them that much gooier (wow, I didn't actually think that was a word, but spell check is unfazed). Add in the sweet and salty trail mix from M&M's that I didn't even know existed, which in and of itself is a perfect treat, and there's double deliciousness in the form of my favorite candy. Plus, this salted caramel shines perfectly against the sweet and salty trail mix and the crunch of the cereal provides the perfect canvas for all that's going on here. Simply put: yum. My friend Mere had a birthday last month, but a couple weeks before her birthday, I was going to meet up with her before she caught a flight from Boston after spending a week on a business trip in Vermont. So I decided a little early birthday baking never hurt anyone and took to searching for something portable for the plane and a little different. I looked through some of my pins and some of my favorite blogs and noticed this amazing recipe from Shelly at Cookies & Cups and thought, "where has my grocery store been hiding that trail mix? ", printed the recipe and hit the store on my way home. Madaline and Ernie are headed out on a trip this weekend. This is a shorter trip just to New Hampshire but will be a little different than some of their other excursions. This time they are going to a campground with the specific purpose of being there with other Airstream owners from New England. They belong to a group--a club of sorts just for Airstream people--and it just so happens that for this particular event, Ernie (and by extension, Madaline) is responsible for feeding almost 200 people who will be there, over five different meals. After hearing them consult about what to serve, I offered my baking services to provide bar desserts--blondies, brownies and cookie bars--for one of the dinners they'll host. So they took me up on my offer and I'm just about done making eighteen 9 x 13 inch pans of bars. I've been freezing the whole (disposable) pans as I finish. It's an impressive sight, I must say. So for the next few Wednesdays I'll be bringing you the recipe for the various treats I made, starting with these Cakey Brownies. And boy are these suckers cakey. Thick and chocolatey, slightly denser than cake but not quite a fudgy bar, you probably want to pair these brownies with a big glass of milk or better, top them with ice cream. They would certainly be amazing topped with a creamy milk chocolate frosting, but given the circumstance where these would be served (as well as the August heat under the tents on the campground, I kept these brownies naked and they shine all by their lonesome. Loads of chocolate flavor without being too sweet, these brownies are a perfect snack or dessert (or possibly breakfast...who am I to judge? ).